Life is unfair. It always has been, and always will be…and the fact that some men can grasp vast riches and power over millions of other people has always been with us, since the first caveman got the best cave and all the available goats…I mean women…..and because of THAT…men have always been trying to invent political systems to keep a few men from ruling over the rest of us. From James Madison to Karl Marx, the fight to equalize the riches has been just that…a continuous fight, and the fact that some men should NOT have power over the masses, never seems to end. History shows us that one rich men, in power, can kill off millions of humans. And NO political system has kept those rich men from rising, and becoming tyrants…so far. America was the best shot at it, but…it didn’t last long. Money buys votes, power, and Presidents. 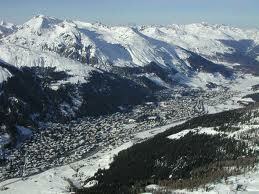 This week, the rich men of the world gather at Davos as they do every year to discuss their vast wealth, and how to keep that vast wealth. 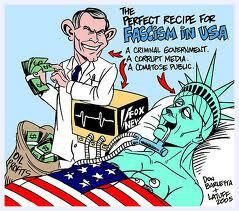 But its gone beyond just amazing fortunes–they want to control our very lives. 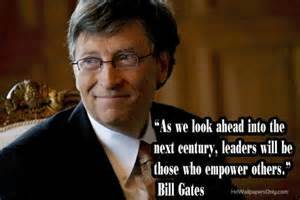 Bill Gates announced he wants all third world countries to go completely cashless. Al Gore wants to round us all up in cities, and put us tiny apartments, where we won’t have to own any cars. 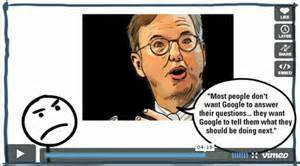 Eric Schmidt ( of Google) wants eventually for everyone to have chips in their bodies so that we are all plugged into one big Google Matrix. This global world dominated by a few men is not just a conspiracy anymore, they come right out and say what they want, and how it will happen. To them, it’s a done deal. Billionaire Jeff Greene, who amassed a multibillion dollar fortune betting against subprime mortgage securities, says the U.S. faces a jobs crisis that will cause social unrest and radical politics. “We” means he thinks we should shut up if we don’t like his “better existence” plans for us. There was another American President who thought the rich were a big problem. His name was Rutherford B. Hayes, our 19th President. And even though he was a republican, he sounds just like Obama. Rutherford B. Hayes was so tired of the rich men, that he thought the riches of any one man or corporation should be limited and after that redistributed to the public. March 18,. Thursday: At Toledo yesterday and until 1 p.m. today. At Father Hannan’s St. Patrick’s Institute last evening. I spoke of the danger from riches in a few hands, and the poverty of the masses. The capital and labor question. My point is that free government cannot too long endure if property is largely in a few hands and large masses of the people are unable to earn homes, education, and a support on old age. December 4. Sunday: In church it occurred to me that it is time for the public to hear that the giant evil and danger in this country, the danger which transcends all others, is the vast wealth owned or controlled by a few persons. Money is power. Excessive wealth in the hands of the few means extreme poverty , ignorance, vice, and wretchedness as the lot of the many. Rutherford B. Hayes, did not run for reelection because of his views about the rich. The republican party discarded him. But, he did take the military out of the South and stopped the Chinese cheap labor immigration so that the Americans could have those railroad jobs. This election, it will cost each Presidential candidate over 5 BILLION dollars to run. It’s bordering on the absurd. You know, Americans really haven’t cared in the past how much the rich make, but…when they start telling us we can’t EVER reach for the stars, and we can’t eat this, and we can’t do that, and they want to control our lives, our children’s lives, AND our deaths, I think it’s time to agree.. The biggest threat to mankind is NOT global warming, it’s the rich snobs who have gone into a sort of megalomania utopian fever. They are going to kill us LONG before mother nature. Life is not fair, but the tyranny of a World plutocracy ruling us all…is…well, let’s just say….not pretty. Obama wants to ‘tax the rich’. President Hayes might have said the same thing. 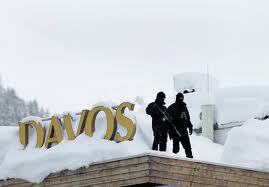 But in the world of Davos, the “rich” is NOT them. It’s you, and me and they want MORE of what little money we have left. How do you break up their monopoly on wealth and power? That’s a question as old as man. There was a terrible car accident on Florida’s highway 95 this weekend. Nine people were killed because of fog. In fact, there was so much fog that the ambulance and police had trouble finding the wounded once they got to the scene. That’s pretty much sums up the state of the world right now. If you watch the news, it looks like most of the people in the world are in a fog: mentally, spiritually, and economically. Riots, riots, riots, and more riots. Everyone is realizing what exactly has happened, and is going to happen, and the masses are enraged. The wonderful globalization plans put in place by the top leaders of the world has lead to a plutocratic elite whose secret and not-so-secret meetings have been used to steal untold trillions from the citizens below and they have used that money to further engineer the designing of the planet for mostly their benefit. This isn’t a wacko conspiracy..it’s right there in front of us—but keeping us all in the fog about it has been one of reasons why we all feel so lost. 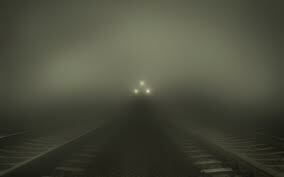 We THINK we see an evil shape in the road ahead, but it’s too foggy to figure it out. As you can see from the words of Margaret Thatcher, this consolidation of a few unelected elite at the top controlling the money and therefore the lives of the global populations has been gaining momentum for quite some time now. Today, England is trying to keep it’s sovereignty, from the unelected elite in the EU, and it’s a hard fight. It’s the “needs to be fixed” that bothers me. There was nothing wrong with capitalism in the first place. Transferring trillions of dollars from the taxpayers of the United States to bail out banks all over the world is hardly what anyone would call “capitalism.” But that’s not the point is it? 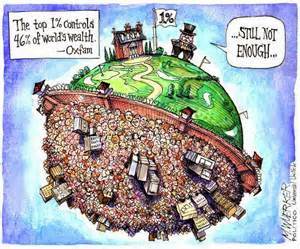 From 2002 to 2007, 65 percent of all income growth in the United States went to the top 1 percent of the population. No matter how you want to slice that…the rich are doing fine after the great “recession” the rest of us, are not. I know. I know…you might say..Joyanna, Obama is using class warfare to justify his socialistic ways. And that’s certainly true. But Obama lies. If he really believed what he was saying, that we should take more from the rich…he would have NEVER bailed them out in the first place, making the poor people of the Unites States pay for all those big ‘evil’ companies and banks. He believes in redistribution alright..he redistributed all our money to the rich. And so did George W. Bush. 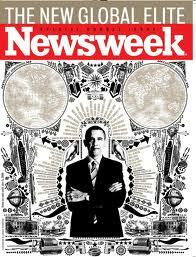 What if Obama is not different than a Romney, or a Newt, or even a Rick Santorin? What if, the network of the rich elites are all tied together? According Chrystia Freeland, in her article in the Atlantic, (Jan. 20111) “The New Ruling Class, How the Global Elite is Leaving You Behind”..that’s exactly the case. According to her, (And she should know, she hangs out with them.) they go to the same hotels, fly private jets, and they all have many homes in many countries. And they stick together. They do not have, nor do they care to have, any affiliation with any one nation. It’s a borderless world, but to the few hundred elite, it’s a small one. As we watch Romney battle Newt in Florida, we take note: Now that corporations can run attacks ads on Presidential candidates and whoever has the most companies with the most money in their pockets, gets the permission to pass GO. Their payback is big. GE—who gave millions to Obama’s election, paid no taxes last year on their $14 billion dollar profit. Jeffery has hotels on Boardwalk. GE will try hard to get Obama elected again. It’s the least they can do for their shareholders, right? It’s the same with all the green energy plants that Obama gave billions to. They gave to him first. So, do we still have a government that represents us? Here’s why you can be sure, whoever gets elected will always put the elites who gave them money, before YOU. The proof is right before our eyes: When a man like John Corzine misplaces $60 billion dollars of other people’s money, and no one even arrests him, what does that tell you? A. They are all stupid B. They just like the guy. C. He personally handles their stock portfolios. D. The corruption in Washington is all pervasive. E. He’s one of them. F. All of the above. Not one person in Congress was even outraged. They gave him a “mock” scolding and he was let go. Obama puts a woman on the Supreme Court who will be the deciding vote in keeping the unconstitutional Obama health care law of the land. The law says, since Sonia Sotomayor helped get the law passed, she should excuse herself from the process, because she shouldn’t be allowed to judge that which she help create: But Justic Roberts, the head of the Supreme Court, a George W. Bush appointee says: No. She’s okay. NO? 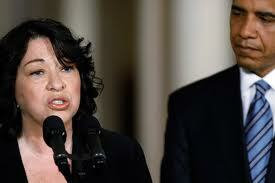 The Supreme Court does not even obey its own laws? And how about that big difference between the parties? They are blending together like sugar in molasses. We see Chris Christie, the ‘conservative’ New Jersey Governor who was Ann Coulter’s vision of a political Elvis; joining the Wall Street guy Mitt, and wanting to pass the tax and trade bills. More jobs will be killed. More money will go to the top. More small businesses will fold. And that’s the point. It’s the plan. All new patents must be owned by the multinationals. Entrepreneurship by the individual will be destroyed. That’s not capitalism, that’s fascism…our government is helping them. Obama wants to pass a law. Not that it will matter. Our elite politicians can break any law, and go unpunished. They don’t even have to pay taxes…or go by Obamacare. They are a rich elite class. They fly on our dime, wine on our dime, and don’t care. Nobody Says: Nice press release. Frankly, I don’t think they are worried at all. One of the CEO of the world’s largest hedge funds said that his investment committee often discusses the question of who wins and who loses and his senior colleagues had said that the hollowing out of the middle class didn’t really matter. Here in the U.S., we have lived so very long in the richest and freest nation on the planet, that we can’t imagine our country not recovering from the spiral we see ahead of us. The rich are getting scared, and to hide their riches from the “people” and governments that wish to tax their riches, they now put all their wealth in philanthrocapitalistic foundations, where no one can touch it. They live in guarded communities, on yachts, and planes. It’s not that the rich are getting rich that bothers most people: it’s that they are taking over our lives, and affecting the future of the planet. It doesn’t matter how many Global initiatives or Linda and Bill Gates foundations are formed. They can’t feed us all. And that’s why many of them just want us all to die off. Obamacare will help that along. But here’s the good news: The slave trade didn’t last forever….and neither will the global plutocrats. After the fog lifts, and the damage is seen, good people, like Margaret Thatcher will come about. You can’t keep the whole world in a fog forever. There are many lights ahead. We just have to find them.